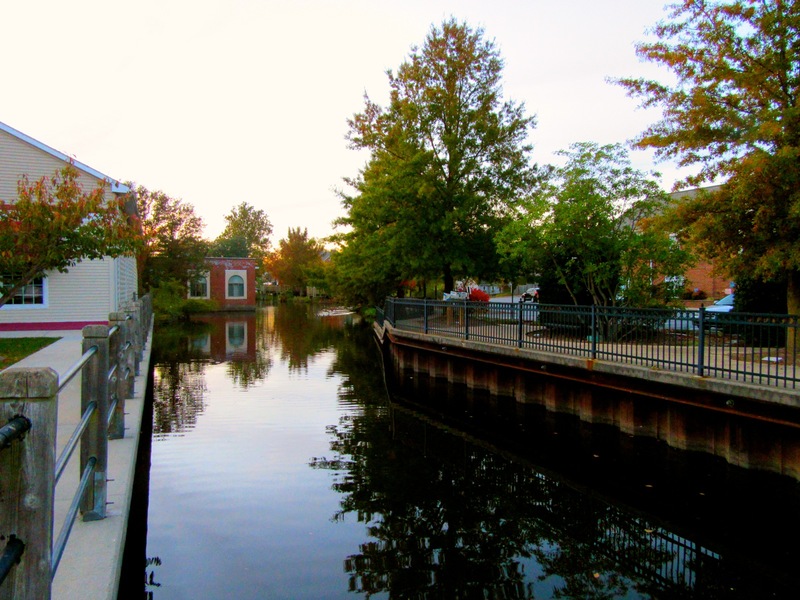 WHY GO: Milford and Dover, Delaware represent the yin and yang of quirky travel. 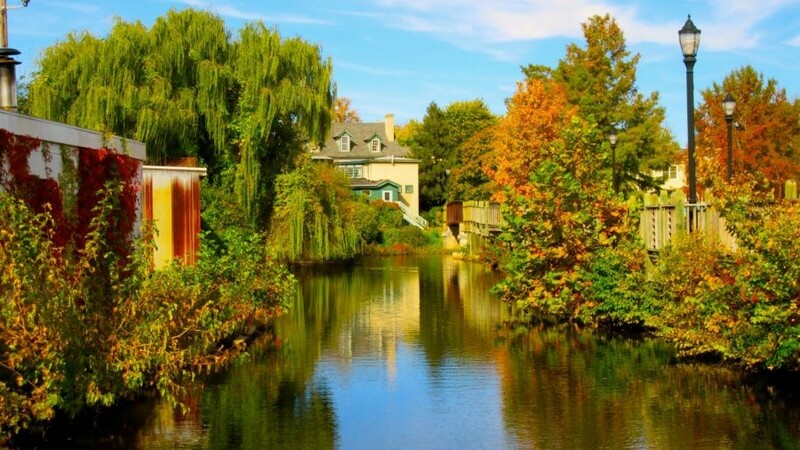 Milford is a picturesque artsy town on the rise. Dover, the State Capital and site of a US Air Force Base, provides a historic and military perspective. Twenty miles from each other, it’s easy to stay in one and spend a day in another, which you will want to do on this unusual Getaway. Climb into Air Force Two, learn about the country’s first “murder-by-mail,” stay in a mansion owned by a former Delaware Governor, and, of course, eat well, on this Southern DE escape. 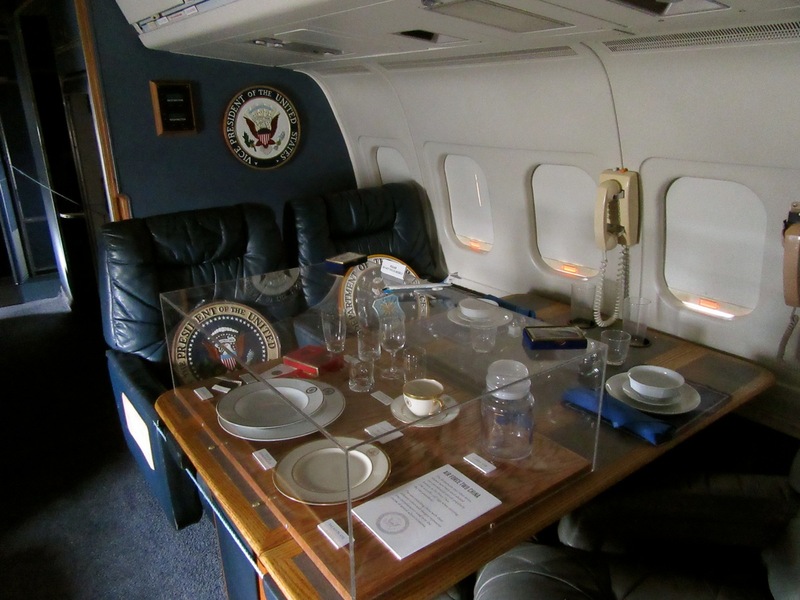 TOUR: Air Mobility Command Museum @ Dover AFB, Dover. If you’ve watched the news and have seen coffins of dead military men and women removed solemnly from airplanes, you’ve seen Dover AFB. With the only Port Mortuary in the military complex, Dover has the sad distinction of being the first US destination for any soldier who dies in combat overseas. But Dover is also home to one of the best military museums in the country- the Air Mobility Command Museum. 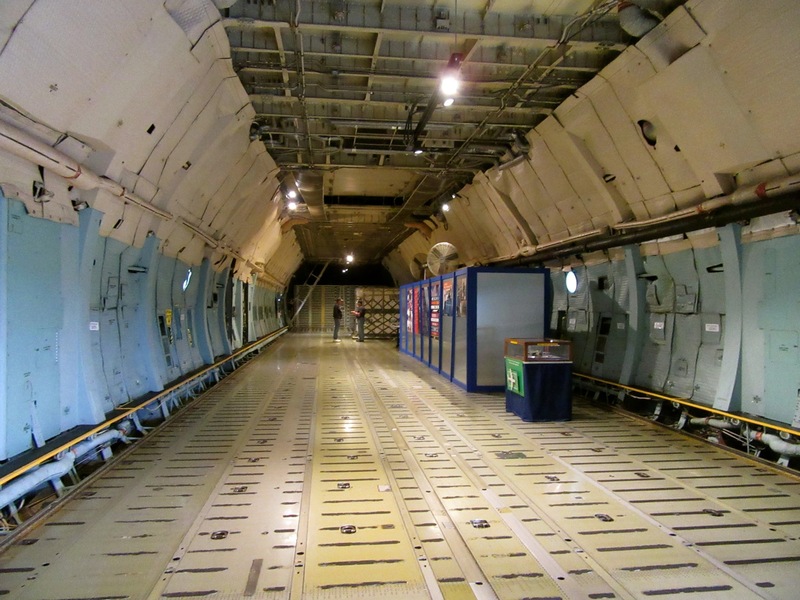 What is Air Mobility, you ask? Anything to do with the movement of troops, food and equipment, or, as tour guide Jon Andrews quips, “You call, we haul.” It’s the only museum in the USA dedicated to airlift and refueling history. 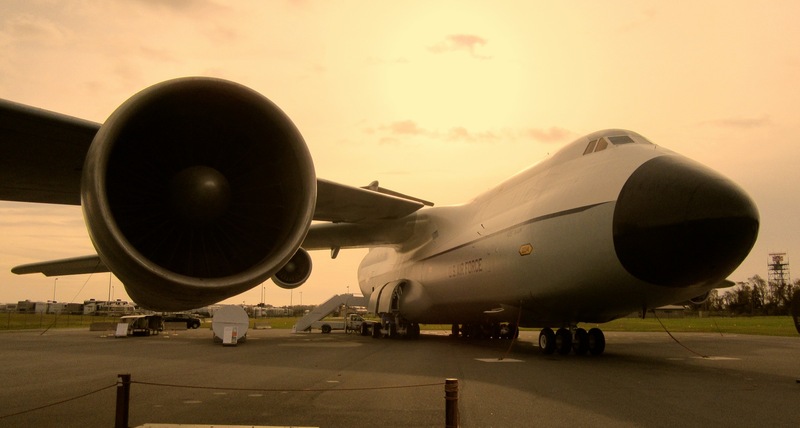 It’s this hauling that is so compelling here – from small aircraft to some of the largest flying “trains” in the world. People come from all over the world specifically for this museum because they can actually get into the cockpits of the planes central to some of the greatest airlifts in history. Both inside a historic hangar and outside on the tarmac, you’ll see dozens of these workhorses – like the C45 that dropped 19 paratroopers onto the beach at Normandy on D-Day, and a C9-A Nightingale flying hospital that served injured troops from the 70’s to early 2000’s. Perhaps the most impressive airship is the C5A Galaxy –one of the largest military aircrafts in the world – longer than the Wright Brother’s first flight. At 121 feet, the cargo hold could carry 2 Abrams Tanks, 9 aircraft or 6 ½ fuel tanker trucks at one time, secured by chains and clips engineered to restrain up to 25,000 pounds. 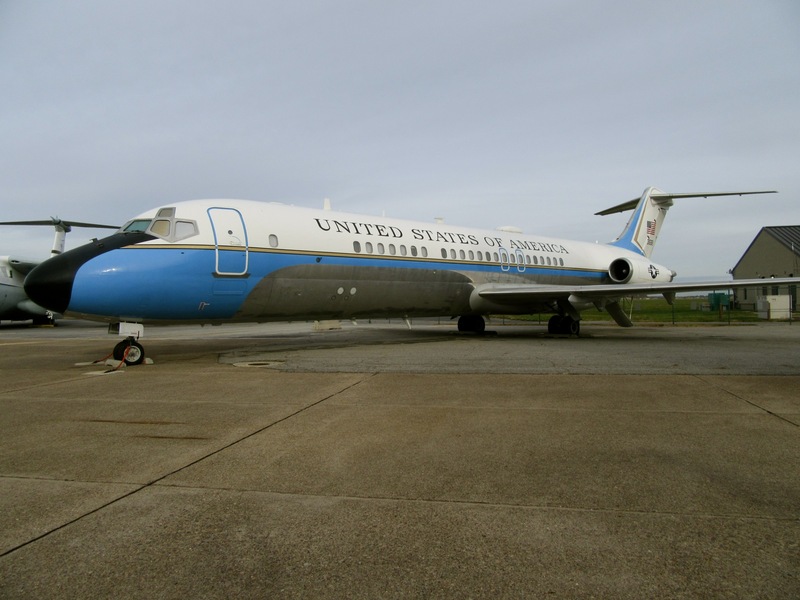 In 1974, this plane launched an Intercontinental Ballistic Missile in the Pacific (the only time an ICBM was launched from the air), in a demonstration of US capabilities during the Cold War. Plan to stay one or two hours here, though you’ll most likely stay longer. Open Tues-Sun 9-4, free. 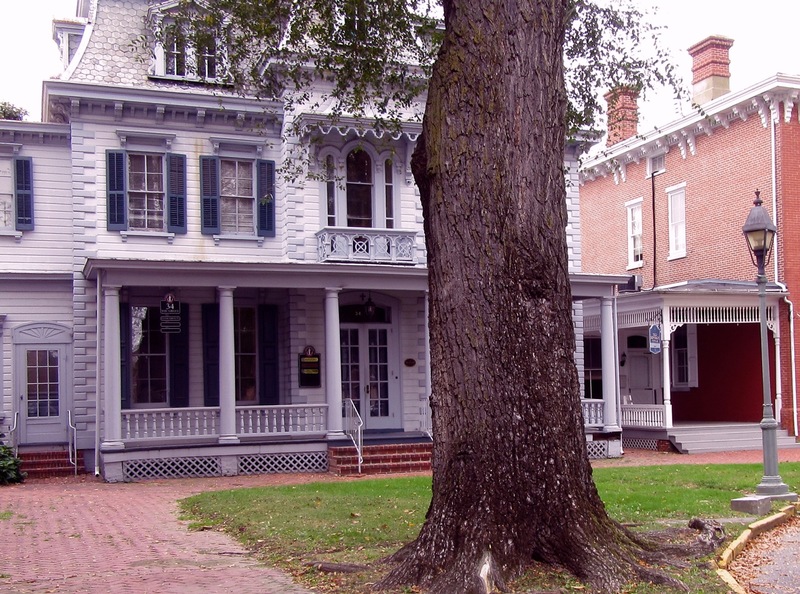 TOUR: Dover Green, The “First State” Heritage Park. A section of Dover most overlooked by tourists, the Dover Green is ringed by the Old State House, clubs, taverns and historic homes. You’d be well served to take an hour-plus walking tour of this charming place. A museum without walls, local history certainly comes alive here. Anyone who’s got a beef with the US Constitution can take it up with Delaware, which was the first state in the Union to ratify the Document in 1787. 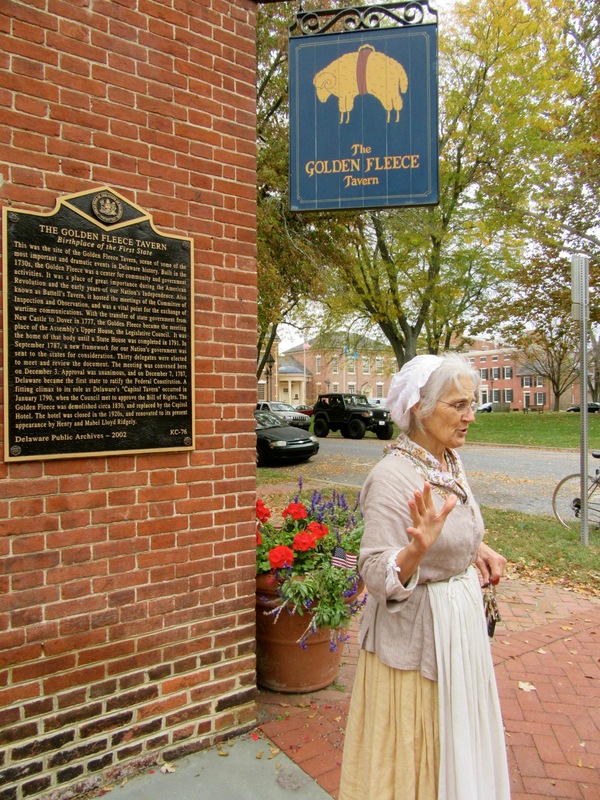 Having just split from Pennsylvania, Delaware’s delegates met at Battell’s Tavern – now The Golden Fleece Tavern (and yes, on the tour) to vote on ratification. A very entertaining overview of the Dover Green, illuminated by stories of those who worked and lived here – the big machers of their day – begins at the The 1740’s Joshua Bell House. As then part of Pennsylvania, and midpoint between Philadelphia and the Port of Lewes, William Penn established Dover as a Court Town in 1683. 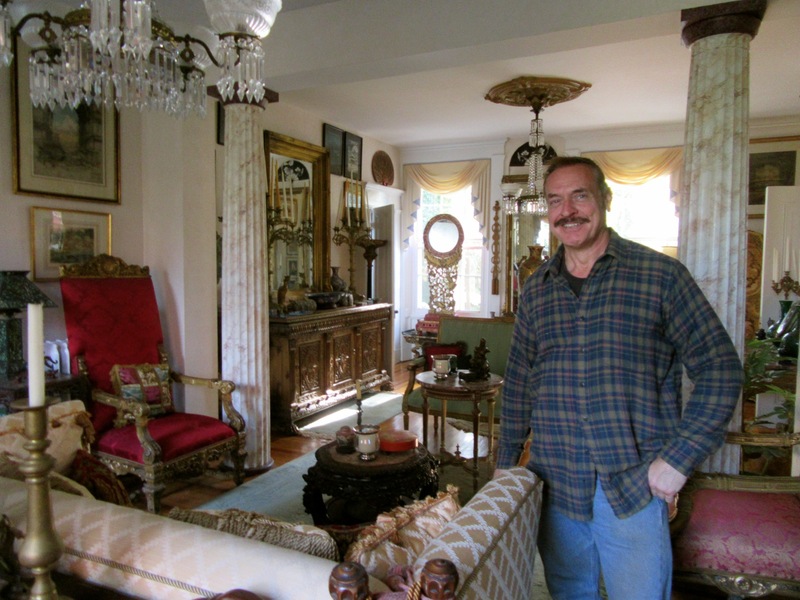 Entrepreneurs, like tavern-keeper, John Bell, set up shop downstairs from the courtroom. 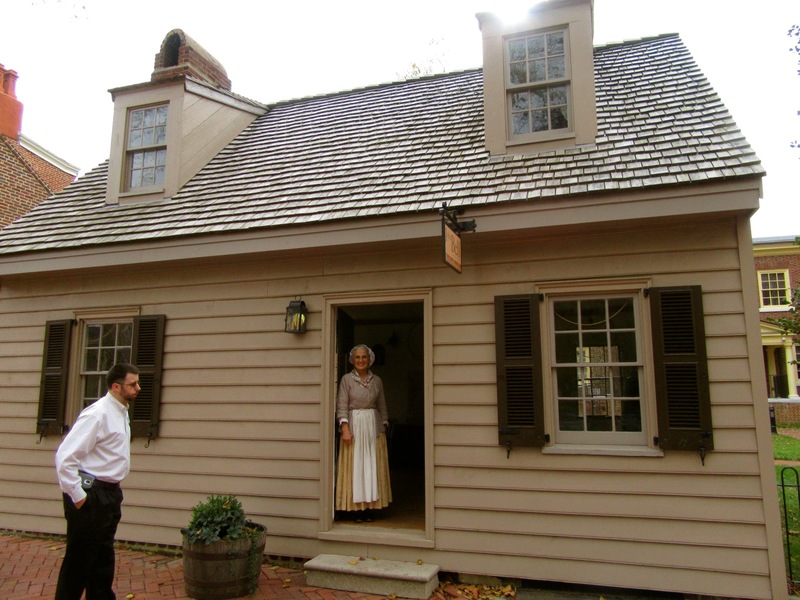 His inn changed names from Bell Tavern to King George’s Tavern to George Washington Tavern as the country’s alliances shifted. 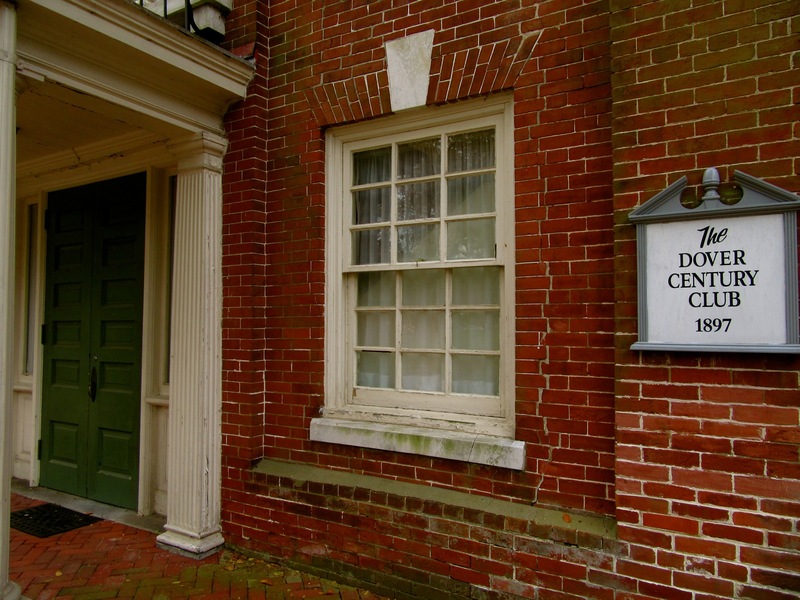 You’ll hear about the merchant who imported uniforms from England to clothe Washington’s troops, pass by Declaration of Independence signer, Cesar Rodney’s, house, and learn about The Century Club – established here in 1897 as a Women’s Philanthropic group, but was more a front for political action. In 1919, the election for the Women’s Vote was held in Dover. Suffragettes from the Century Club stood on the Green handing out yellow roses. Those who opposed suffrage handed out red roses. This method of persuasion was coined “The War of the Roses” in national media. Women did not win the right to vote until the following year, in Tennessee, where a letter from the mother of an official persuaded a deadlocked vote. Perhaps the most sensationalistic story here, though, revolves around the country’s first “Murder By Mail” in 1898, originating in San Francisco, but with victims right here on the Dover Green. The case involved a philandering husband on a newspaper assignment in San Francisco (John Dunning), a spurned lover (Cordelia Botkin), and a Delaware society wife (Elizabeth Pennington Dunning) and her sister, Ida. In a fit of jealousy over her man, Botkin sent a box of poisoned chocolates from S.F. to Elizabeth in Delaware. Elizabeth, believing it was from another friend in California, ate the chocolates, but not before sharing a few with neighbors and her sister. The neighbors became ill, but Elizabeth and Ida died. Botkin was tried, found guilty and sent to San Quentin where she died of “softening of the brain,” a euphemism for syphilis. Free walking tours Mon-Fri 10-3, let by historical interpreters begin at the John Bell House every hour on the hour and are 45 minutes. For “First Saturdays” of Each Month programming, and other events throughout the year, check the website. 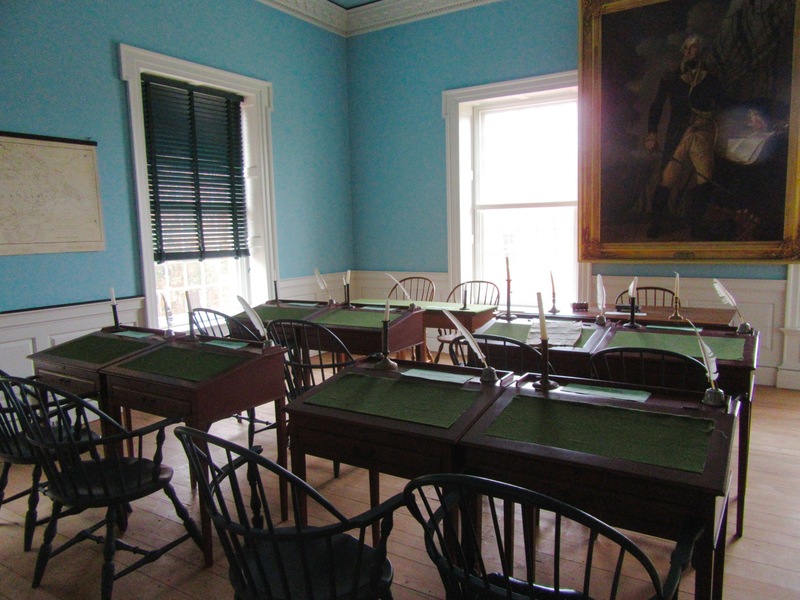 TOUR: Old State House, Dover. No longer the Legislative House (that’s behind the Green now), the Old State House was first opened in 1791, fell into disrepair, was slated for demolition and saved, nearly singlehandedly, by society matron Mabel Lloyd Ridgely (who lived cattycorner next door). In 1912, the exterior was renovated, followed by the first interior redo in the 1970’s and another one to correct the color palate in 2007. As originally contrived, the State House served as courthouse, and was a noisy place, as the public was allowed to trot in and out during proceedings. 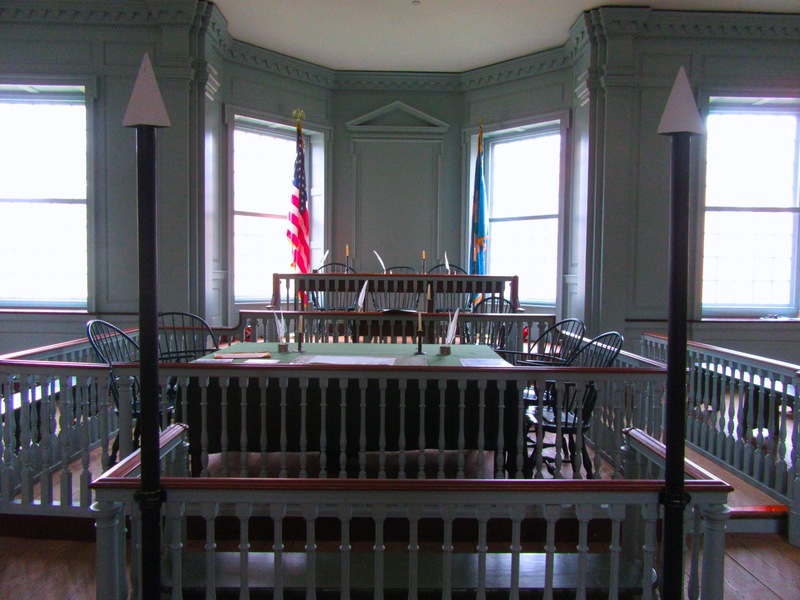 As per the English Court System, three judges oversaw trials, during which witnesses were asked to stand in an enclosure at the front during testimony (hence the term “witness stand”). Open Mon-Sat, 9-4:30, Sun 1:30-4:30, free. TOUR: Delaware State Capitol aka Legislative Hall. You can also tour Delaware’s working Capitol building. Open Mon-Fri 10-1, and select Saturdays. 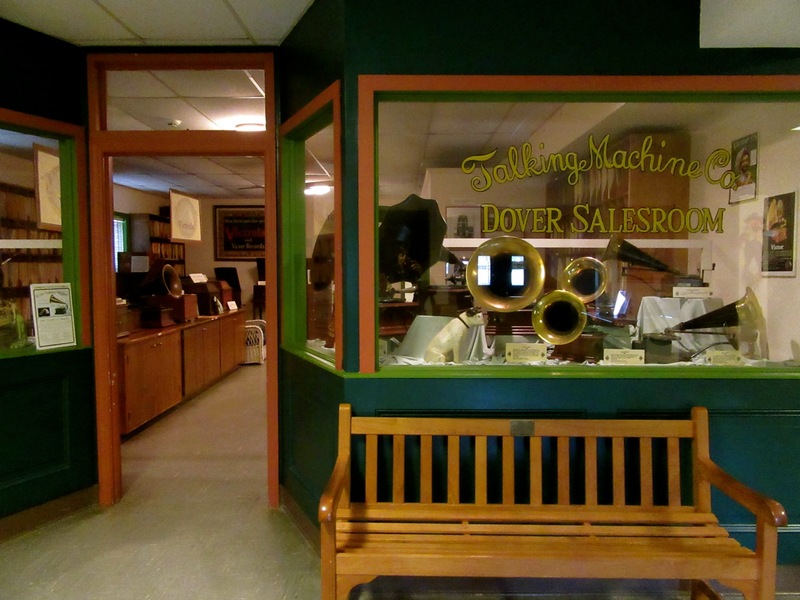 VISIT: Johnson Victrola Museum, Dover. Did you know that the saying “put a sock in it” derived from the only way that Victor Talking Machine users could dampen the volume on its speaker horn? You’ll discover this and tons more at this esoteric, hugely entertaining museum covering the world’s first popular record player. 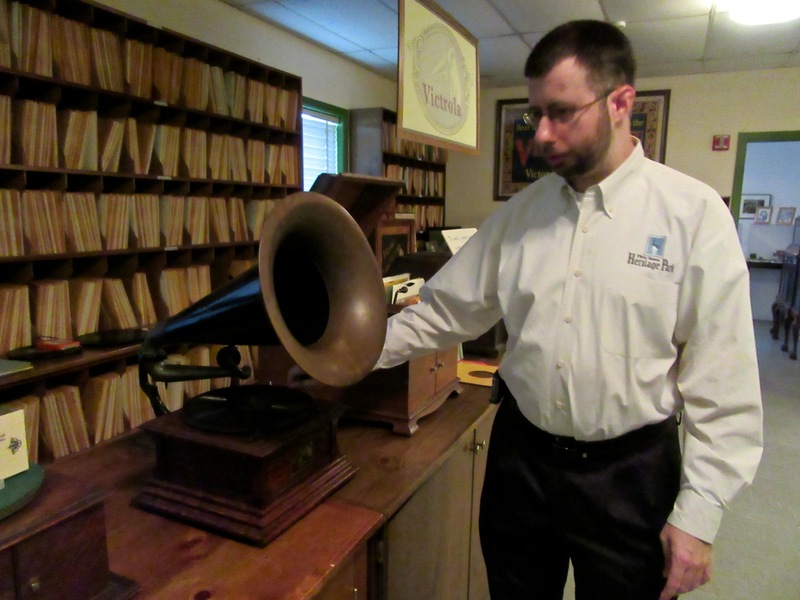 A tour takes you through a 20’s era store to listen to music on original Victrolas, and then on to comprehensive exhibits about its history. In 1879, Thomas Edison was first to record sound and play it back. Early machines were rudimentary tin foil cylinders that had to be cranked by hand. Eldredge Johnson, considered “too stupid for college,” became a machinist and in the late 1800’s, developed a motor that would drive a hand-cranked gramophone. The “victor” in a series of lawsuits in “The Patent War,” Johnson created the Victor Talking Machine Company in 1901, selling it to RCA in 1928. It was a time when adding “ola” to the end of a word – Crayola, Coca Cola – gave the product marketing cred, and so, when the speaker was placed inside a cabinet, the “Victor Talking Machine” became the Victrola. The Victrola went on to make Johnson very wealthy, and one dog, Nipper, a household name. 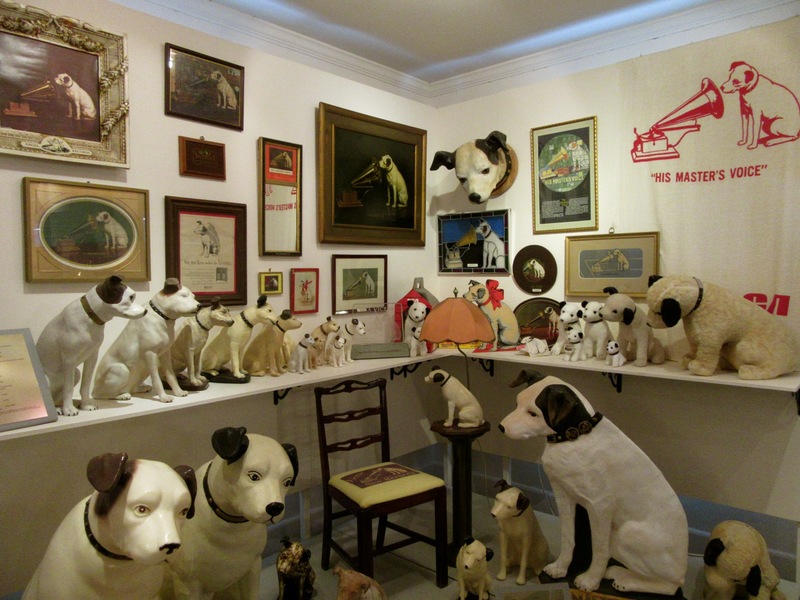 The mixed breed Terrier from England was the subject of a painting called “His Master’s Voice,” portraying him staring quizzically into a gramophone horn, and Nipper’s story is told in an exhibit on the second floor. This little RCA-Victor dog is now one of the world’s most recognizable trademarks. Open Wed-Sat. 9-4:30, free, but donations happily accepted. VISIT: Milford Museum, Milford. In the original Milford Post Office, this glass-case museum celebrates the idiosyncrasies of a small town. 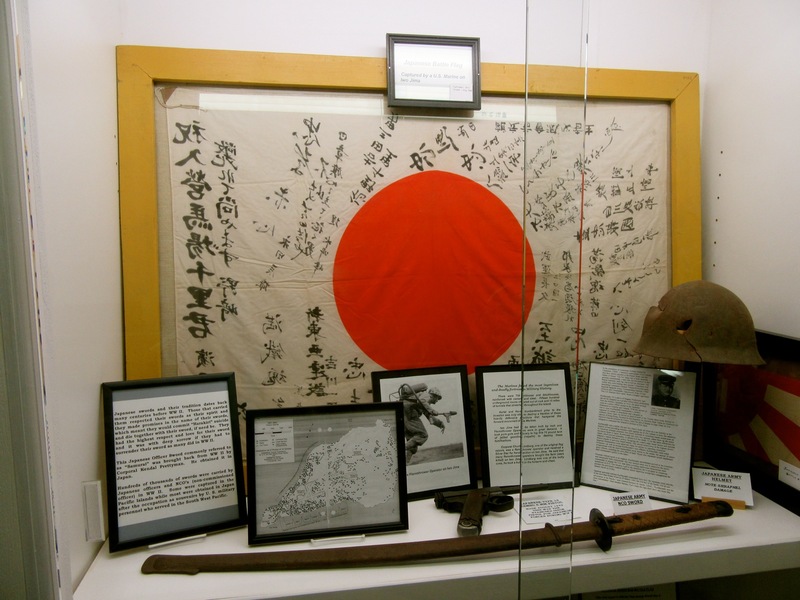 There’s a Civil War Room, an exhibit on shipbuilding – once the town’s principal industry – a WWII display featuring a Japanese Battle Flag from Iwa Jima, and a whole room devoted to Ladybugs, the “State Bug.” If you love sports history, Milford was known for its baseball team. There are pictures from the late 1800’s, and currently, Milford plays a full season in the National Vintage Team, which uses 1864 rules and period dress and equipment. Open Tues-Sat 10-3:30, Sun 1-3:30, free but donations welcomed. WALK: Mispillion Riverwalk, Milford. In the 18th and 19th centuries, seven shipbuilding companies were situated along the Mispillion River, which runs about 15 miles to the Delaware Bay. Young artists have provided a fresh take on this history, fashioning 18 decorative replicas of the classic yacht, Augusta, that line the landscaped brick walkway through town. In the summer, the river comes alive with kayakers and canoers, but it’s a wonderful stroll any time of year. SHOP: Gallery 37, Milford. Marcia Reed taught art at a private school in Western MA for 35 years, and then relocated in Milford to open this visually exciting arts and crafts gallery. Reed shows both her own work and that of high-end, super creative crafts-people who fashion the likes of inner tube/marine vinyl handbags, eclectic lamps, ceramic horseshoe crabs, and whimsical “Git Boxes” – ukuleles made from old cigar boxes ($350-$500). Gallery 37 was voted “Best Gallery Downstate” by Delaware Today Magazine, drawing patrons from Washington DC and other surrounding cities to this sleepy town. 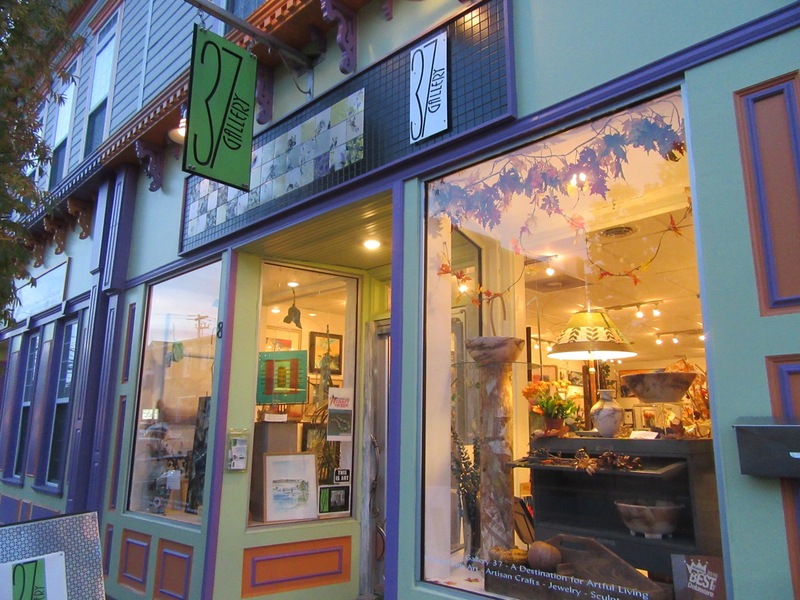 Reed handpicks the painters, furniture craftsmen, sculptors, ceramists, fiber artists and jewelry makers herself. “This is not tourist trade stuff,” she states. SEE/SHOW: Riverfront Theater, Milford. This Southern Delaware town has its own spunky little theater open all year long. Run by the Second Street Players, it features everything from A Christmas Story to Fiddler on the Roof. EAT/DRINK: Locals also frequent The Georgia House – in a restored hardware store downtown – for its signature “Pretzel Salad,” and other reasonably priced fare. And locals and visitors alike make a beeline to Mispillion River Brewery for the newest IPA, Ale or Porter on tap in the tasting room. The Brewery is one of five stops on Kent County’s “Good Libations” Tour – which also includes a winery and distillery. 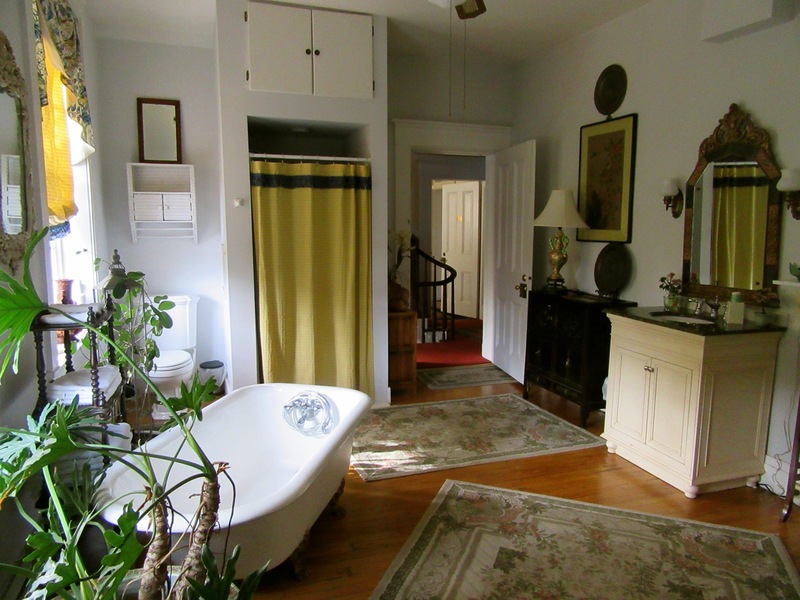 STAY: Causey Mansion B&B. Once occupied by Governor Peter Causey (in the mid 1800’s), owners Jan and Joe have put their own stamp on this spectacular inn. 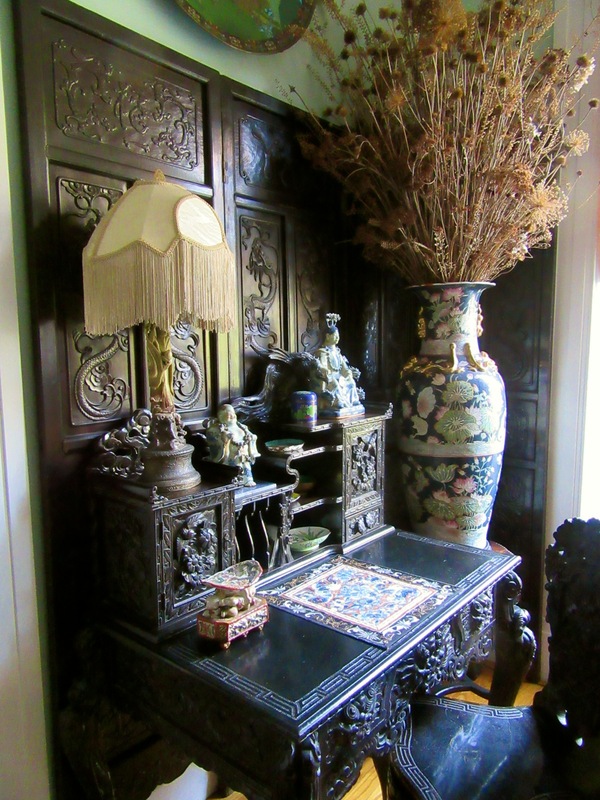 The couple collects Asian antiques, and you, the guest, are the beneficiary of their good taste. 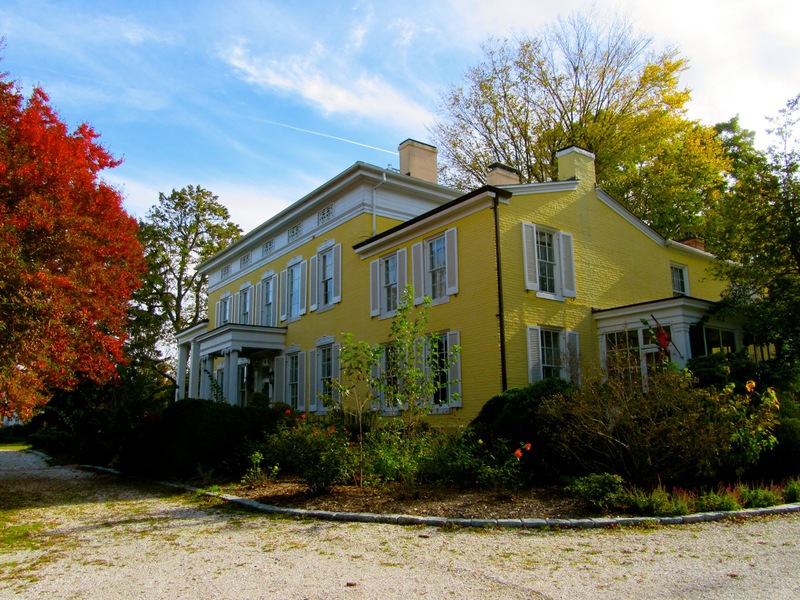 The mansion, sitting on a rise on the edge of downtown, is a grand Georgian, Neo-Classic Colonial, with high ceilings, big windows, expansive gardens and welcoming patios and statuary. Inside, the inn appears to be an exotic and eclectic emporium of Chinese and Japanese ceramics, furniture and woodblock prints, “Even Louis” (14th and 16th) pieces, an 1840 room-dividing screen from the Iran Embassy in DC, and a cornucopia of other antiques to make an aficionado’s heart sing. Each of four lavish rooms is a showpiece. 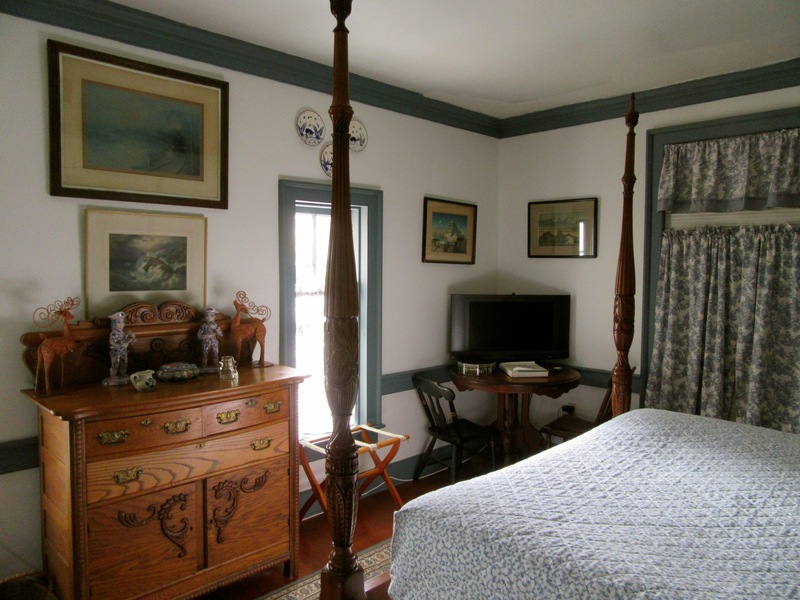 I stayed in The Country Room, walls and ceiling trimmed in Shaker Blue, overhead lamp made of perforated tin, hardwood floor with floral rugs, Spanish chest of drawers and knickknacks tastefully scattered about. There’s even a small, indiscreet flat screen TV. Honeymooning couples ask for antique-filled Sussex Room, with an extravagant clawfoot-tub bath. Breakfast is a lavish affair, served on a large table in the dining room. 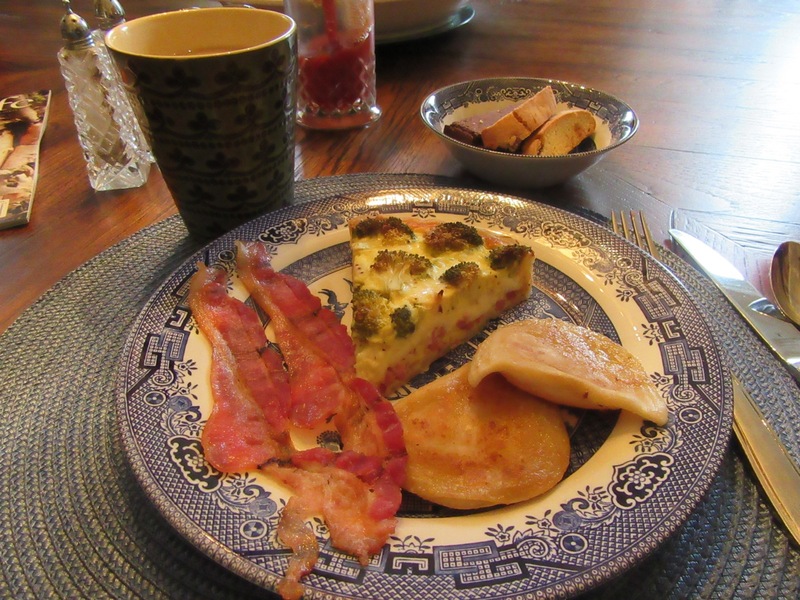 Joe whips up quiche, peirogis and other delights for breakfast. Rooms $125-$175 include wi-fi and gourmet hot breakfast. We have a giant Nipper statue on top of what used to be the tallest building in Albany, NY. I can see now that I MUST visit Dover to learn more about Nipper’s history! I’m really keen on collecting antique; “Even Louis” (14th and 16th) pieces above might be the valuable things. I wish I could touch those even once. I’ve been looking at record players, so I’ve seen Nipper several times, but didn’t knew anything about him. And now, that story on the museum’s second floor is intriguing and making me want to visit Dover.